It’s been forever and a day since Fiona Apple released any new material, much less a song with helping hands from Largo partner in crime Jon Brion (1999’s When The Pawn, to be exact, minus the bootleg version of this decade’s Extraordinary Machine) — but to benefit kids’ literacy charity 826LA, she and Jon will be covering a track written by the kids themselves during a songwriting project. 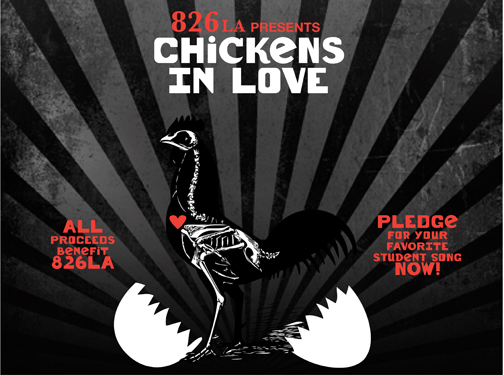 Joining the pair on the benefit album, Chickens In Love, are She & Him, the Happy Hollows and a number of local acts. Pre-order it from 826LA.